For the first time, Roma self-government is established in Ukraine, in the city of Svaliava. — Правозахисний фонд "Розвиток" | www.rozvitok.org For the First Time, Roma Self-Government is Established in Ukraine, in the City of Svaliava. For the First Time, Roma Self-Government is Established in Ukraine, in the City of Svaliava. Work on development of the Roma self-government in the Transcarpathian region started back in 2013 and has progressed over this long time period due to hard work of Roma activists. From the creation of the initial group with the Roma activists, up to the long hours of negotiations with the local authorities, the goal of Roma self-government has finally been established. Today we are happy to announce, that the first Roma community self-government body in Ukraine is created! This is an unprecedented case and it will be a new milestone in the history of Roma people: it implements conversion from customary law to the civil rights. 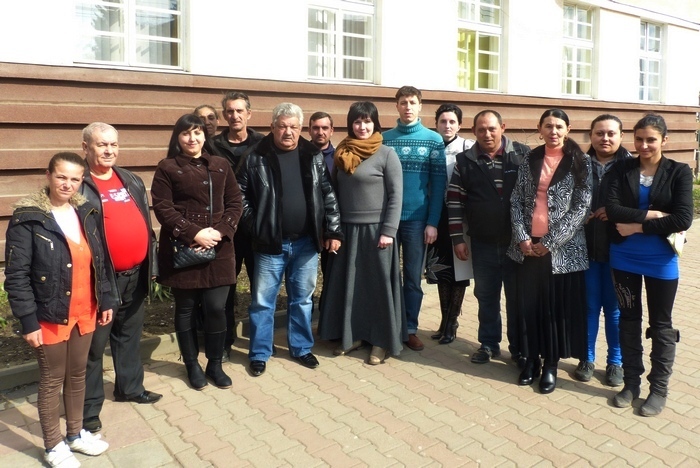 The first Roma self-government appeals for cardinal changes in relations among the Roma community, local self-government bodies, and average Ukrainians. In our opinion, it is the creation of the Roma self-government body that will speed up and improve the integration of the Roma national minority. Because creating a stable community to enable an economically effective country does not depend on the orders from on high, but on constructively directed initiatives from the grass roots. Who else but the very representatives of the Roma communities know their needs, problems, and their solution strategies best? Regarding the Roma self-government, we should first of all pay attention to two important aspects. Firstly, we are just at the beginning of a long path, it is likely that we will face lack of understanding and need to perpetually think through each step. Secondly, there is no alternative way for the development of the Roma communities. The European communities have chosen the self-government way, and the Ukrainian communities are joining in little by little. 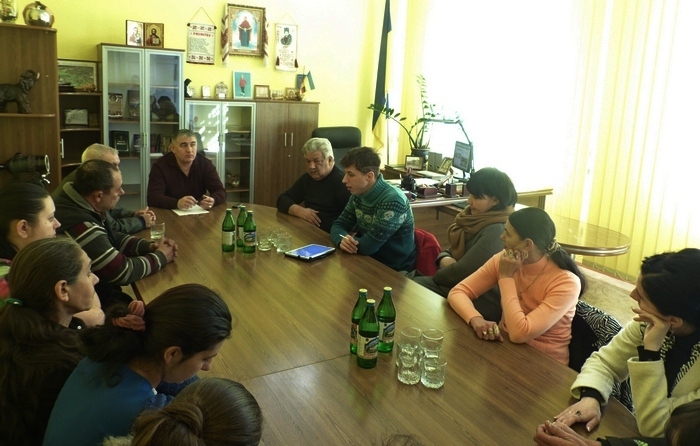 If we strive to support the integration of the Roma people into Ukrainian society, then, both of us – civil activists and various authorities – should do our best to have the Roma self-government bodies created in most cities of the Transcarpathian region. Taking this action will allow Roma people to have an opportunity to build up their communities by themselves. The essential advantage of the Roma self-government for local authorities is the fact that the self-government body consists of people from within the Roma settlements. Therefore, the people who know the problematic issues inside the communities can fully understand and more effectively make the internal changes that are really needed. The most important thing to understand is that the self-government system does not mean that something would be given for free, as only a way to help. But, the self-government system will provide the means for Roma people to actively work for themselves and establish cooperation with various partners. This means that, while building up their communities, they will learn for themselves, improve their skills, and, they will be able to finally teach others how to maintain and sustain their communities. As a result, the initial number of people will grow exponentially because the best examples were given and successfully passed to others. We want to express our deep gratitude to the leader of the Roma settlement in Svaliava – Matvii Balint. It was his wish to help his community reach a new level and his great attitude and support of innovative ideas has made this historical event possible. Of course, this would be impossible without the hard work and support of the people from within the Roma community in cooperation with the local authorities. In conclusion, we will continue our work to further develop the self-government bodies of the Roma communities throughout the Transcarpathian region in 2016. Such work has started in 5 cities of the Transcarpathian region. We are confident that this positive achievement will help to speed up the process of creation of the Roma self-government bodies in other cities under the auspices of the new representatives of the local authorities.